Last October, Consumer Reports published the most glowing appraisal of an automobile in its 80-year history. The hard-to-please non-profit magazine, whose independence from advertisers has made its reviews of consumer products a Bible for American shoppers, gushed over a vehicle not from Detroit, Tokyo or Stuttgart, but rather Palo Alto. It is therefore telling that this most ardent and objective supporter is now scolding Tesla Motors for aggressively marketing a key feature of the Model S, its Autopilot self-driving technology. For Elon Musk, the engineering entrepreneur who founded Tesla, along with renewable-energy company SolarCity and the unlisted extraterrestrial freight-hauler Space Exploration Technology, it’s just another front in what is increasingly becoming a struggle against, well, the world. These are mere mortal threats, however, compared to the technological heights Musk’s three companies promise to scale. SpaceX, which on Sunday successfully launched and landed a Falcon 9 spacecraft for the second time, is seeking two more landing sites. SolarCity raised $345 million on Monday to fund further projects focused on harnessing the energy of the sun to power the world. And last but not least, Tesla is intent on building the first commercially viable fleet of electric cars. Musk lacks neither for self-confidence nor smarts. Like Iron Man, he may prove capable of fighting off multiple enemies at once in the service of what he believes is right for mankind. To do so, however, Musk unquestionably will need shareholders on his side to prove the viability of his vision. And though he has let them down recently, Musk can still repair his relations with the investors whose cash he needs to fuel Tesla, SolarCity and other ventures. He is planning to release as soon as Wednesday “Part 2” of the “Tesla Secret Master Plan.” To make it credible, he needs to better explain his proposal – visionary though he may think it – for Tesla to buy SolarCity for $2.8 billion, or withdraw it entirely for another day. 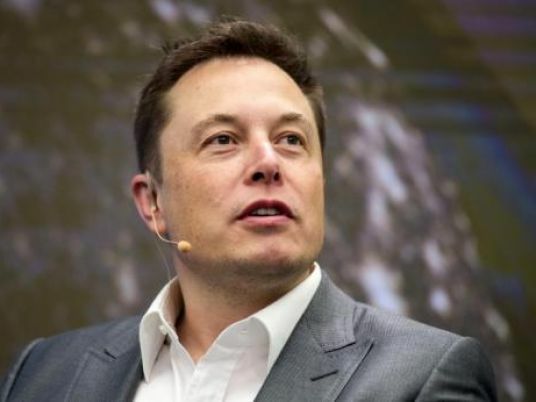 Musk’s more immediate travails began on May 7, when a Model S collided with an 18-wheel truck on a Florida highway, the top of the car sheared off and the driver died. Tesla says it alerted the NHTSA, America’s top traffic cop, nine days later and sent an agent to investigate the circumstances of the wreck on May 18. That also happened to be the same day Tesla was selling $2 billion of stock. On June 30, after Tesla stock had closed at $212.28 the company revealed that NHTSA had opened a preliminary evaluation into the Florida crash, the first documented fatality in which Autopilot may have been involved. Tesla stock rose to $216.50 the next day as investors weighed the materiality of the disclosure. Days later, Musk engaged in a spat with Carol Loomis, the editor of Buffett’s annual letters to Berkshire Hathaway shareholders. The Oracle of Omaha’s electric utility, NV Energy, got involved in a high-profile bust-up with Musk’s SolarCity earlier in the year, which ended in SolarCity withdrawing from NV’s home state of Nevada. Loomis was so moved by the question of whether Tesla should have disclosed details of the crash during its fundraising that she roused herself out of retirement from Fortune to immerse herself in the matter over the July 4 holiday. It’s worthwhile to ask when Tesla should have let the market know what happened in Florida. Autopilot’s success will be important for Tesla’s ambition of becoming the car of the self-driving future. Any road bumps will matter to investors. That’s why the Securities and Exchange Commission is investigating. If Tesla’s timeline is correct, however, it should have little to fear. Tesla’s shares following the news also indicate that investors were equally sanguine. It is clearly a distraction, though, and one that needs to be handled deftly, not tetchily. (Said Musk to Loomis: “Please, take 5 mins and do the bloody math before you write an article that misleads the public.”) Tesla is traveling uncharted ground with Autopilot, as with electric cars broadly. Bringing customers, regulators and investors on board requires focus. It also requires money. To reach Musk’s goal of producing 500,000 cars a year by 2018, Tesla will need to spend heavily on people and technology, according to Breakingviews estimates. The company is investing $2 billion a year on capital expenditures and burning through cash. If there’s any lesson to draw from the Florida Autopilot affair, it is that while Musk can win his battles, he needs to pick them more judiciously. Of all his creations, $33 billion Tesla is the closest to achieving his grand ambitions. Forcing it to assume responsibility for SolarCity’s different set of challenges, by shoving an unpalatable deal down the throats of shareholders, will at a minimum raise Tesla’s cost of capital. At worst, it could turn away investors completely. Iron Man came to recognize his limits, though it nearly cost him his life. The only things at risk by Musk’s corporate finance shenanigans are his companies and his own personal wealth. It would be a shame for a piddling deal like this one to spoil such extraordinary aspirations.